Custom Shower Doors in Des Moines is what we do ! 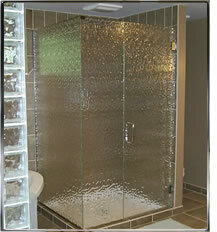 If you need a custom shower door in the Des Moines area give us a call because we have affordable solution for you. Not to mention one of the largest offering of glass products in central Iowa. We have trained staff that specialize custom shower Doors in Des Moines and are ready to serve the Community. All our installations include the "extra details" you will find in the finest homes and business's. That's the only way we do things and the reason you will find our work in Award Winning homes throughout central Iowa. Our shower door showroom is conveniently located at 506 SE 5th Street just east of downtown Des Moines. Stop in and we will be happy to show you the products we offer. For now, feel free to browse our website. You will find a huge amount of information including glass styles and finishes,and many other services we offer.